Considering the heavy inclination of Indian buyers towards diesel, Mahindra played safe offered all four version of Verito Vibe with only diesel fuel option. The car has been loaded with a 1.5-litre Renault K9K series dCi engine. The engine has been detuned a bit in respect to this compact sedan and it churns 65PS@4000RPM against a maximum torque of 160Nm@2000RPM.The power:weight ratio of the car is good because of which it delivers an acceptable mileage figure. The car remains quite firm as you start the engine which is one of the biggest unique things about this car considering typical Mahindra vehicles that shook you up as soon as its engine sparks to life. The NVH level is low and you don’t feel it is a diesel engine unless you are on highways and cruise the car speed above 100kmph. Another praiseworthy feature of this engine is its tractability, manoeuvring through city roads is easy with minimum requirement of downshifts. The light clutch adds another plus point that helps improving overall driving experience of the car. The 5-speed transmission of the car efficiently delivers the power output to its wheels. 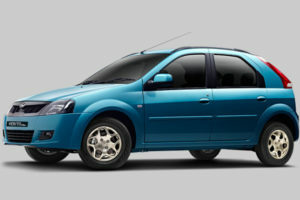 The Mahindra Verito Vibe does not score In terms of looks. It is the most boxy hatchback you will see in recent times but then the Vibe scores more on the utility front. The cabin space is grand which is not there in many hatchbacks sold. Its generous headroom and legroom balance the lows of styling and premium interiors.In addition to space, it also has two mores strong points namely its diesel engine which is very smooth commuter and goes in a balanced way without any sudden drop or rise. This proves beneficial in traffic and on highways. The other is the suspension setup. Unlike other delicate and sissy hatchbacks, the Vibe displays great confidence on rough roads. It swallows potholes like very few. ← What Are The Advantages of Cloud Based Phone System ?